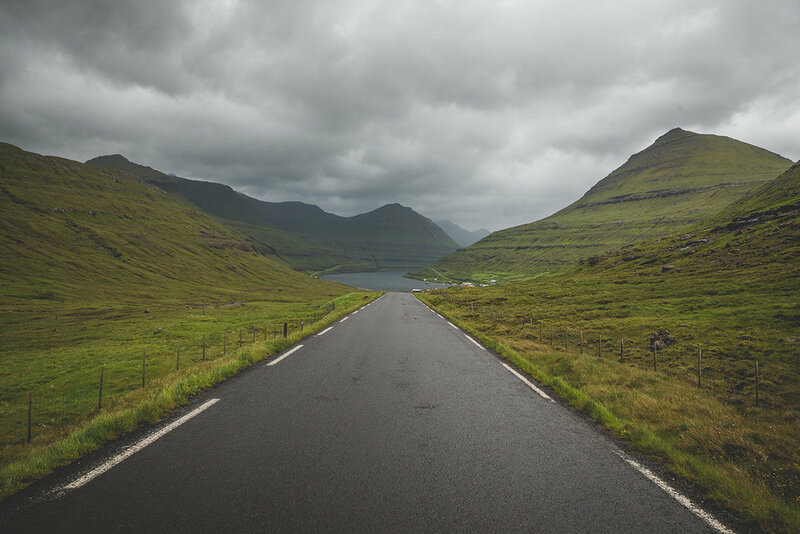 Back in June, myself and Emma headed off to the Faroe Islands to celebrate her 25th birthday. I had actually suggested this at the start of the year because from May this year, there was meant to be flights from Aberdeen to the Faroe Islands, but unfortunately, there wasn't enough uptake on the route so it was cancelled. Nevertheless, we were still going, so we booked flights with Atlantic Airways to fly from Edinburgh to Vágar. The flight was only around 1.5 hours direct from Edinburgh, and we arrived at Vágar Airport in the late afternoon. We had rented a car through Unicar.fo, and we were staying at Hotel Vágar which was literally right next door to the airport. We checked in at the hotel, chilled for a bit, and then headed back out. We'd done a decent bit of research prior to the trip, so had a fair idea about what we wanted to do each day, but obviously, it's all quite weather dependent in the Faroe Islands. With it being June, it only got dark for a couple of hours or so, so daylight wasn't an issue, and out we went to explore, with Sørvágsvatn on our minds. 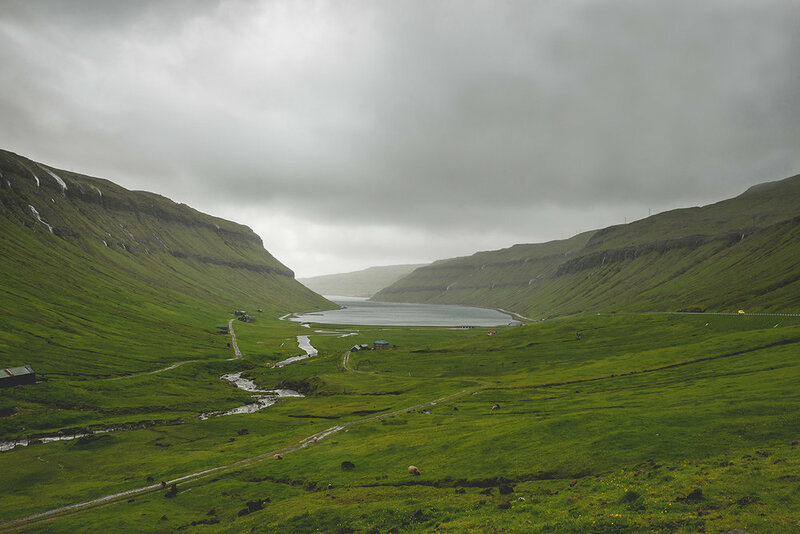 We headed to Miðvágur, and then followed a road near the church up to a parking spot, to start the trail to Sørvágsvatn, the largest lake in the Faroe Islands, which is located on the island of Vágar, and off on the trail we went. It's quite a popular trail, and is pretty easy, with some incredible views once you reach the edge of the lake. Unfortunately, by the time we got to the far edge of the lake, the weather came in and we got absolutely battered with some torrential rain. Taking in whatever views we could see through the rain and clouds, we then headed back to the car and then to the hotel to dry off. We had planned to go back out after for sunset at a certain spot but the rain just kept on coming down, and no exciting sunset was to be had! Our second day plan was as follows... Hotel Vágar to Tórshavn, Tórshavn to Viðareiði, Viðareiði to Gjógv, and then finally, Gjógv back to Hotel Vágar. 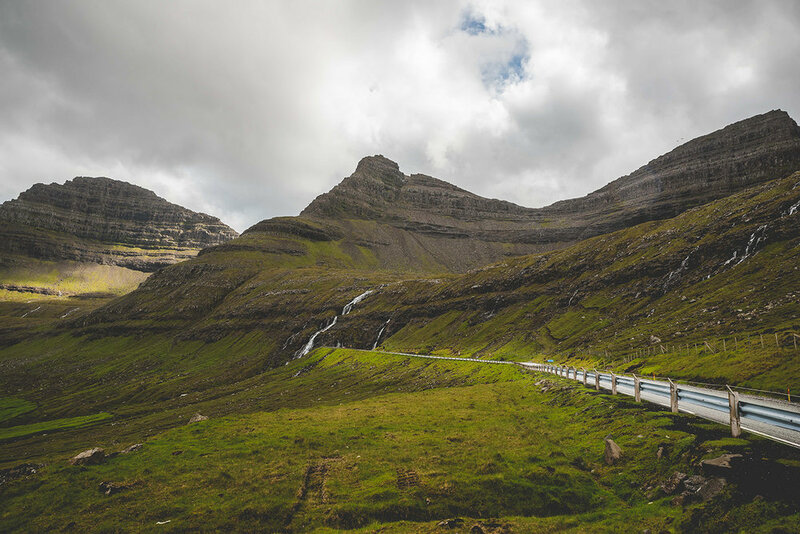 This plan meant that there was quite a bit of driving to do (thanks Emma) as Viðareiði is right up in the North East of the Faroe Islands, and we would have to go through both underwater tunnels to get there. Note: both sub-sea tunnels have a toll of DKK 100 for a return journey which you pay at specific petrol stations, but our rental was fitted with a chip, so we didn't have to stop at the petrol stations. Arriving at Tórshavn, we parked near the harbour and went for a stroll to have a look around and get some coffee. We didn't spend much time here to be honest (probably my fault as I forgot to find out about the good spots here), so after our coffee, we got back on the road again. According to Google Maps, the journey from Tórshavn to Viðareiði should have taken 1.5 hours by car, but we literally stopped off at everywhere possible, so it took a lot longer. Here's a bunch of shots below from some of the places we stopped off, truly just incredible scenery wherever you look. We arrived in Viðareiði and headed to the church to park our car and go explore. 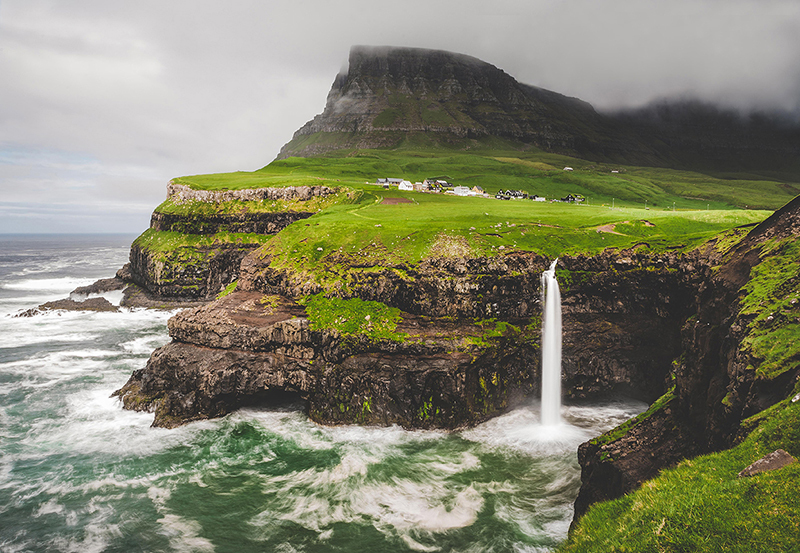 Viðareiði is the northernmost settlement in the Faroe Islands and lies on the Island of Viðoy, and is a must visit for the church alone. We left Viðareiði, and started on the road to Gjógv, a journey which (according to Google Maps again) would take us just over an hour with us going back through one of the sub-sea tunnels, and up some of the steepest roads we've ever been on. The rain and roads were so bad at some points that we actually pulled into a parking bit and waited until it passed. After Emma had spent about 20 minutes just outside Gjógv trying to take vidoes of sheep, we arrived and found a parking spot near a little cafe that was closed by the time we got there. 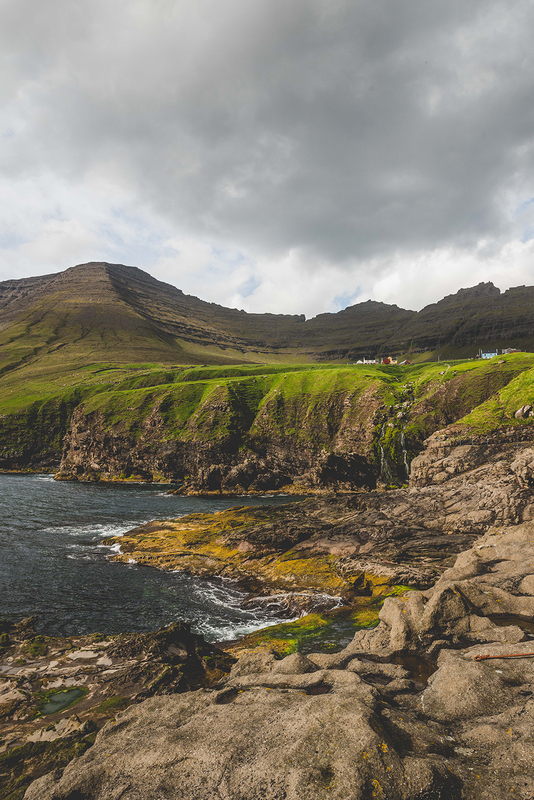 We explored around the rocks where the sea meets Gjógv, and the canyon with it's little boat, before heading up past the cafe and following the signs around to the top of the cliff where you get the most spectacular view looking back at the village. The rain hadn't stopped since we got there so it took a good few tries to actually get a picture without the camera lens being covered in raindrops, but it was worth it. It was quite late in the evening now, and we had an hour drive back to the hotel so we got on our way. We were hoping the weather would clear up by the time we got back near the hotel and we'd be able to go catch sunset, but again, no luck. Another day of grey skies and rain, but we caught a break, and headed to the incredible village of Gásadalur which is on the island of Vágar where our hotel was located, so only a short drive was required. If you stayed in Gásadalur, to reach the other villages, you had to take a tough route over the mountains that surround the village, and for this reason, the population was decreasing and in 2002, was only 16, until a tunnel was built two years later, but there hasn't been much of an increase in population yet apparently. Anyway, first things first, you come to Gásadalur for the incredible waterfall, so that was our first stop. After spending some time just marvelling at the incredible waterfall, we then went on a little wander of Gásadalur to take in some more views of the other islands that you can see from this beautiful village. 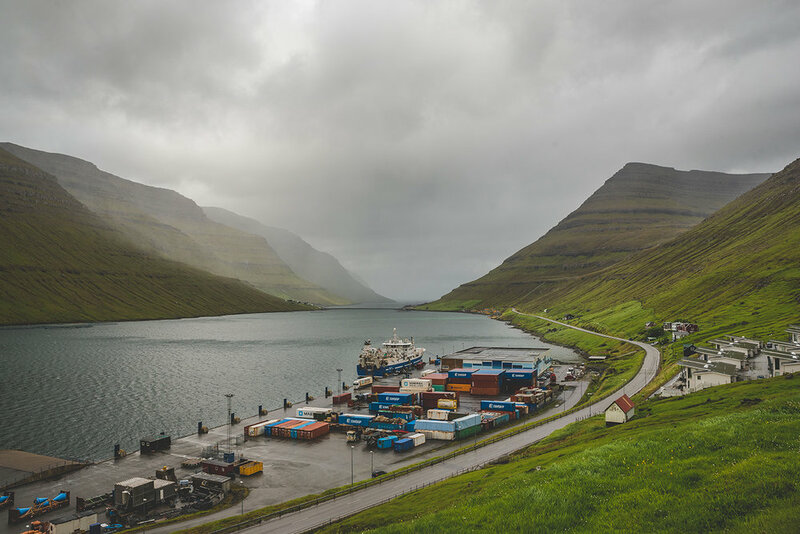 We headed back to the car and left Gásadalur, and headed back to Sørvágsvatn, the lake that we visited on our first day in the Faroe Islands but unfortunately got rained off completely. Thankfully, the conditions were much better this time, and the sun was even shining, so off on the trail that we went. Sørvágsvatn is just another one of those many many incredible places in the Faroe Islands, truly breathtaking, but never experienced wind like it when we were up the top overlooking the lake. Once we got back to the car, we grabbed some food from a shop in nearby Miðvágur, and then got on our way to Saksun, which was just under an hour drive from where we were, and of course, we left the sun behind and were greeted with some Faroese rain showers and gale force winds at Saksun. Sadly, it was our final day in the Faroe Islands, and we had a late afternoon flight back to Edinburgh. We didn't want to do too much and go too far on our last day, or be soaked for our flight home, so we just explored a little bit more on the island of Vágar (where our hotel was and the airport is located) and killed time. We also checked out the Trøllkonufingur which means Witch's Finger and is a free-standing rock. And that was it! Ending on a picture of a sheep, seems appropriate! An amazing trip, and I'm sure we'll be back!